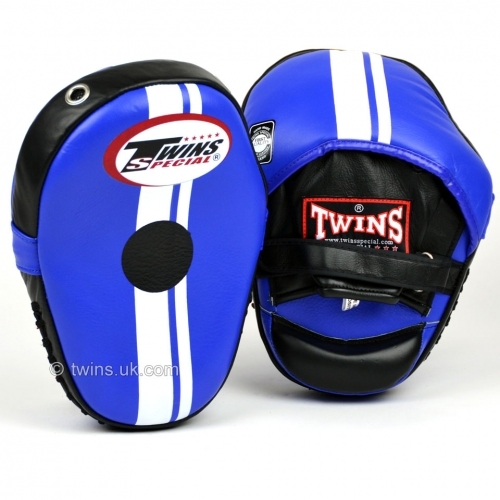 High quality classic style curved focus mitts from Twins Special designed for a trainer to catch punches easily. Larger striking area than standard pads designed for increased versatility, allowing for elbows, knees and kicks. Ball grip on palm and extra padded wrist support for extra comfort. Enclosed fingers for extra safety for the trainer.